Only a few days until FilKONtario! 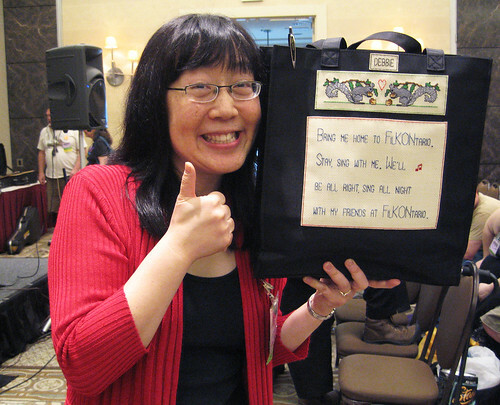 Check out the cool hand-stitched bag that local filker Carolyn Brown made for me last year! Allison and Jodi also got personalized bags. Finally (FINALLY) switched over the Urbantapestry.org URL pointer. The header is temporary until I have time to put together something more decent. We'll gradually be adding back content to this site, so thanks for your patience.